FRANKFURT/BERLIN -- Volkswagen Group's agreement with a resistant supplier shows the limits of the automaker's push to reduce spending in the wake of record fines over its emissions-cheating scandal. To end the standoff that crippled the automaker's Passat and Golf production in Germany, VW agreed to compensate Bosnian parts maker Prevent Group for a canceled contract and extend their partnership for another six years, people familiar with the matter said. The deal highlights the lack of wiggle-room the automaker has to pull itself out of the crisis as VW faces resistance on two key fronts to an effort to reduce annual spending by 1 billion euros ($1.13 billion) at the struggling namesake brand. Parts makers argue the squeeze puts their livelihood in jeopardy and labor leaders say VW can't make employees bear the brunt of the crisis. "The issue with the supplier is only a preview of what is to come," said Stefan Bratzel, director of the Center of Automotive Management at the University of Applied Sciences in Bergisch Gladbach, Germany. "A special case, certainly. But they will need to deal with their suppliers. The challenge will be to come to agreements with suppliers on ways to save costs." VW needs to lower spending to free up money to invest in electric cars and the self-driving technology that's important to rebuild its image in the wake of the diesel-emissions cheating, as well as pay for a $15.3 billion settlement in the U.S. and potential future fines. Prevent argues Volkswagen is simply seeking to pass on those costs to suppliers. The amount VW will pay Prevent is well below initial demands for about 58 million euros to cover factory alterations made in preparation for a 500 million-euro order that VW canceled, said the people, who asked not to be identified because the two sides agreed not to talk publicly about the deal. Sueddeutsche Zeitung reported that the figure is nearly 14 million euros. Still, that doesn't factor in lost production over six days and the cost of the shutdown itself, not to mention bad publicity. As part of the deal, both sides agreed to drop any ongoing legal claims linked to the standoff, the people said. Spokesmen for both sides declined to comment on the agreement. "Prevent must have been at some sort of tipping point for them to act like this," said Marc Staudenmayer, senior partner at Munich-based consulting firm Advancy GmbH. "With this, they've thrown up an obstacle to their future as a supplier with all leading auto manufacturers." It's easy to see why seeking concessions with suppliers is an attractive option. 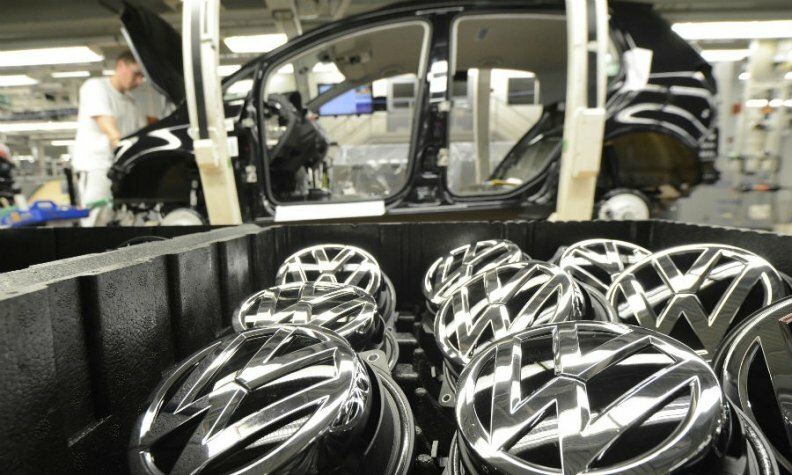 Sinking purchasing costs at the Volkswagen group just 1 percent would boost profit by about 1.5 billion euros, said Ferdinand Dudenhoeffer, director of the Center for Automotive Research at the University of Duisburg-Essen. That, however, may prove difficult as decades of thinning margins reshape the supplier industry, with consolidation suddenly giving some formerly small deliverers more bargaining power, Dudenhoeffer said. "The supposed dwarfs can bring the Gullivers of the auto industry into distress," he said. "It's time for carmakers to recognize the new rules of the game." Prevent is a case in point. The Bosnian company bought ES Automobilguss, one of the parts makers that stopped shipping to VW during the spat, from its German family owners last year. That turned a trusted transmissions-parts maker that had supplied VW for decades into a strategic asset in a much more aggressive conglomerate. By stopping deliveries from Automobilguss, Prevent was able to use that as bargaining chip in the original dispute with another of the company's units making less critical seat parts. Winning concessions from suppliers will be a central concern for VW as it tries to absorb costs linked to the scandal, which Frank Schwope, a Hanover-based analyst at NordLB, estimates may reach as much as 35 billion euros. VW will also likely meet stiff resistance from labor leaders and its home state of Lower Saxony to any suggestions of job reductions. The works council holds 10 seats on the automaker's supervisory board and Lower Saxony has two posts, giving them a majority whenever they team up. The German state owns 20 percent of the automaker's voting shares. "Job security is and remains a precondition for the commitment of the workers," works council chief Bernd Osterloh said in a newsletter to employees earlier this year. Some say the automaker's efforts to push through cost reductions should be applauded, even when they don't succeed entirely. VW is "trying to be much more efficient," said Kristina Church, a London-based analyst with Barclays Plc. "They are doing a lot behind the scenes to improve the financial performance of the different divisions, but most notably the VW brand, and turn things around since the diesel crisis." Prevent's tactics "must not be allowed to become common practice" in industrial disputes, as "it would cause considerable economic damage," Lower Saxony Prime Minister Stephan Weil said today in an interview on German public broadcaster ARD. "When there's a disagreement, under our rule of law, we have sufficient means for clarifying things in court, in front of a judge. That wasn't utilized in this case."